With the rising rent in San Francisco, it has become even more crucial that yoga be made accessible to yoga students regardless of financial status. 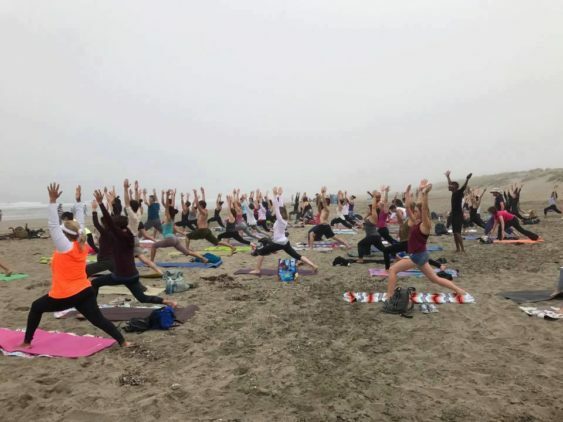 Therefore, Yoga teacher Tony Eason invites you step out of the comfort zone of a yoga studio and join a fun free outdoor yoga class on Ocean Beach. Near Java Beach, 1396 La Playa St.
Bring along your own beach towel (or some durable feet) and a bag lunch or snacks to share for after the yoga class. Please note, rain cancels the event.